Not many new television series thrill me. The majority of them are either idiotic reality shows or boring unfunny comedies. 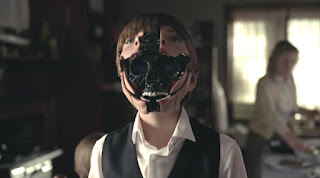 I was skeptical when I first watched HBO's "Westworld", but I was pleasantly surprised at what a great television series this is. Westworld is an American science fiction western thriller television series created by Jonathan Nolan and Lisa Joy for HBO. It is based on the 1973 film of the same name, which was written and directed by American novelist Michael Crichton, and to a lesser extent on the 1976 sequel Futureworld. It is the second TV series based on the two films, the first being the short-lived 1980 series Beyond Westworld. Nolan and Joy serve as executive producers along with J. J. Abrams, Jerry Weintraub, and Bryan Burk, with Nolan directing the pilot. The first season premiered on October 2, 2016, concluded on December 4, 2016, and consisted of ten episodes. In November 2016, HBO renewed the show for a ten-episode second season. The story takes place in the fictional Westworld, a technologically advanced Wild West-themed amusement park populated by android hosts. Westworld caters to high-paying guests, who may indulge in whatever they wish within the park, without fear of retaliation from the hosts. 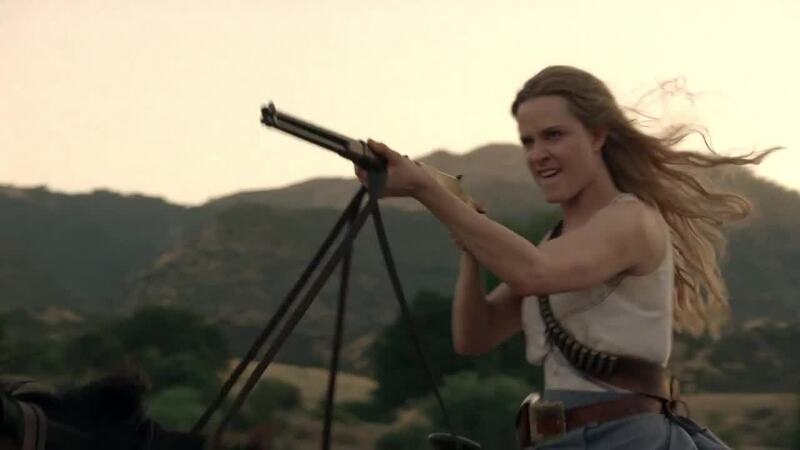 The series' debut on HBO garnered the network's highest viewership ratings for a premiere since the first episode of True Detective in 2014 and Westworld ranks as the most-watched first season of an HBO original series ever. Westworld has received largely positive reviews from critics, with particular praise for the visuals, story, and performances. 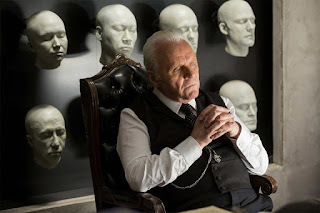 Anthony Hopkins and Evan Rachel Wood were the first cast members formally announced, taking on the roles of Dr. Robert Ford and Dolores Abernathy, respectively. 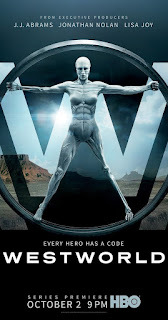 Ed Harris, Jeffrey Wright, Rodrigo Santoro, Shannon Woodward, Ingrid Bolsø Berdal, Angela Sarafyan, and Simon Quarterman were all announced as cast members in August 2014. James Marsden and Eddie Rouse were also added to the cast. It's the cast that really makes this series. I am totally enthralled with the roles that Anthony Hopkins (original creator of the park) and Ed Harris (mysterious man in black). I had never really took notice of actress Evan Rachel Wood either, but she is great in her role as one of the robots who grows a conscious. The shows just finished it's 1st season, and even before the 2nd season debuts, I know it is premature in calling a series as a future classic, but Westworld really has everything it takes to be a classic. It's one of those shows that take a life of its own, much like the cowboy robots the show depicts. 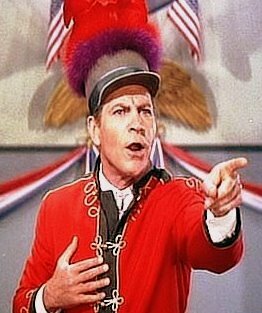 I would not miss this future classic..
One of my favorite movie musicals growing up was 1962's The Music Man. The stars of the film of course were its stars Robert Preston and Shirley Jones, but an unexpected fun part of the film was any scene that character actor Paul Ford was in. He played the part of the town's clueless mayor. He attacked the role the way he did any of his other film work. Ford even made the smallest part a memorable part of any movie. 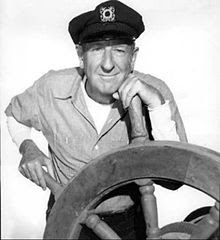 Ford was born Paul Ford Weaver in Baltimore, Maryland in 1901. His father was described as "a well-to-do businessman" who lost his fortune when his investment in a soft drink company failed. At an early age, he showed an adept talent for performance, but was discouraged when directors thought he was tone-deaf. After attending Dartmouth College for one year, Ford was a salesman before he became an entertainer. He took his middle birth name, which was his mother's maiden name, as his stage last name. The change occurred after he failed an audition as Paul Weaver but was successful when he auditioned again as Paul Ford. In later years, Ford made his hollow, reverberating voice one of the most recognized of his era. His success was long in the making, and he did little acting, but instead raised his family during the Great Depression. Franklin Delano Roosevelt's Public Works programs provided Ford with work, and to the day he died, he was a passionate Democrat. He first ventured into entertainment, however, in a puppet theater project that the Works Progress Administration sponsored. Years later, he said of that opportunity: "I got on the puppet project of the W.P.A. and helped write and put on shows for the Federal Theater. We did puppet shows at the World's Fair in 1939 and 1940, and 1 served as narrator, a kind of Hoosier cornball in beard." Following his experience with puppets, Ford worked as an attendant at a gas station before turning to acting for a career. His first professional acting job was in an Off-Broadway production in 1939. 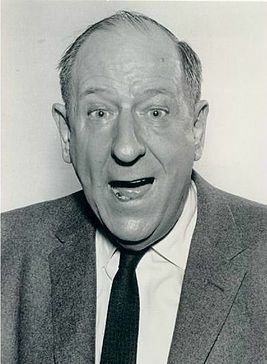 In 1955, Ford played the bank president in the NBC comedy series Norby. He became an "overnight" success at age 54 when he played Colonel John T. Hall opposite Phil Silvers on Silvers' The Phil Silvers Show TV show (often known as Sergeant Bilko or just Bilko). His signature role may well be the part of Mayor George Shinn, a befuddled politico in the film adaptation of the Broadway show The Music Man. Ford played the role straight and received glowing reviews. 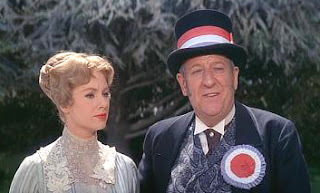 The other role he is most identified with is that of Horace Vandergelder opposite the Dolly Levi of Shirley Booth in the 1958 screen version of The Matchmaker. Ford had an active career in both films and television until his retirement in the early 1970s. Despite being a respected Broadway character actor, Ford was notorious for being unable to remember his lines. This would alternately cause difficulty forcing him and those around him to improvise. 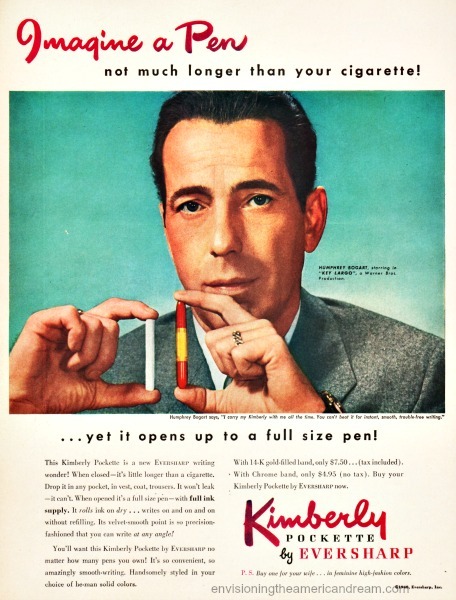 This became especially notable on The Phil Silvers Show. Warner Bros., 1961. 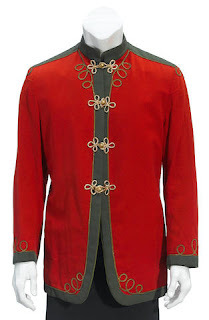 Reversible jacket, exterior is green wool blazer-style with sewn-down lapels and collar, and three buttons, the reverse is a drum major style red collarless jacket with olive green panels and gold trim. No labels present. Preston wears this jacket at the town hall meeting when he convinces the people that he should start a boys' marching band, changing into his drum major jacket and singing "76 Trombones." Indefatigable Ray McDonald was born to dance and dance he did. A New York City native born June 27, 1921, Ray was still in grade school when he and older sister (by three years) Grace McDonald (1918-1999) formed a popular vaudeville tap dancing act. By the age of 16 Ray had made it to Broadway in the musical "Babes in Arms", in which he and Grace made quite an impression with the song "I Wish I Was In Love Again." Talent scouts took both of them to Hollywood, but not as a duo. Grace went to Paramount and later Universal, while Ray was signed by MGM. He seemed to have all the ear markings of a star. 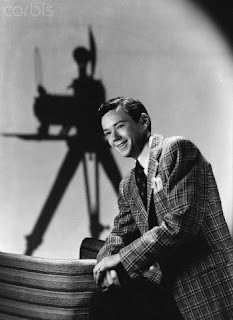 Dark and boyishly handsome with energy to spare, he first played a leading role as a youth in the low-budget programmer Down in San Diego (1941), then kicked up his heels a bit in the Mickey Rooney/Judy Garland musical Babes on Broadway(1941), where he danced to "By the Light of the Silvery Moon." He appeared with Rooney again in the star's vehicle Life Begins for Andy Hardy (1941). After that, things stopped clicking. 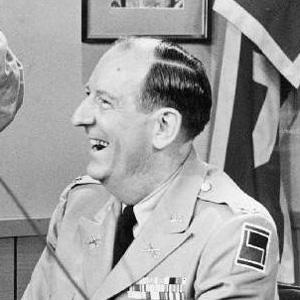 The momentum of his career was not helped by war service, where he at least managed to appear in both the stage and film versions of Winged Victory (1944). Unable to rise above the secondary ranks, the June Allyson/Peter Lawford collegiate musical Good News (1947) would prove to be Ray's last feature for MGM. Divorced from actress Elisabeth Fraser whom he met while appearing in the stage show of "Winged Victory" in 1943, he met and subsequently married fellow dancer/singer Peggy Ryan while freelancing in films. McDonald can be spotted in the Dane Clark film noir Whiplash (1948) and the David Brian film Inside Straight (1951). 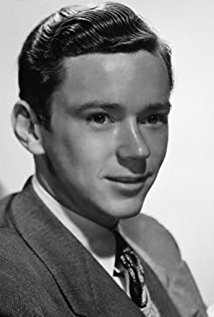 Among his unworthy film roles were Flame of Youth (1949) His films with Ryan included Shamrock Hill, There’s a Girl in My Heart (both 1949), and All Ashore (1953), which re-teamed him with Mickey Rooney. McDonald and Ryan divorced in 1958. 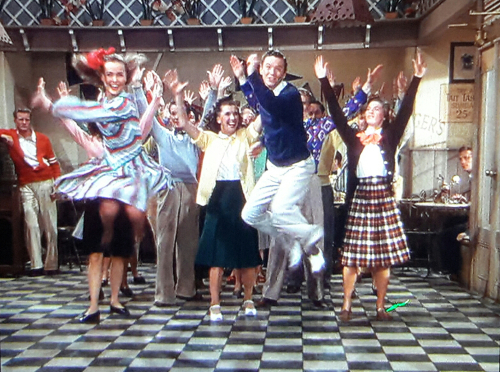 During the subsequent lean years, he and Peggy toured stages and nightclubs until their divorce. Ray popped up on TV variety shows as well and in 1959, while in New York to appear on a show, he died after choking on food in his hotel room. He was only 37. Not remembered well today, as is the case with sister Grace, Ray McDonald nevertheless had a great musical talent and ingratiating presence, which certainly deserves a mention. The cause of his death has been a matter of contention for decades. Hollywood hearsay has it that he took his own life by overdosing on sleeping pills, depressed over the state of his career. His daughter Liza, however, maintains that his career was thriving, having done the Ed Sullivan variety show.At the time of his death, in fact, he was in New York preparing to do a Chuck McCann comedy show. He died in his hotel room apparently of visceral congestion (choking to death on food). Because sleeping pills were found in his room, reporters assumed it was suicide and the rumor caught on. According to the Medical Examiner, Liza says, no drugs were found in her father's system and the death certificate supports her claim.